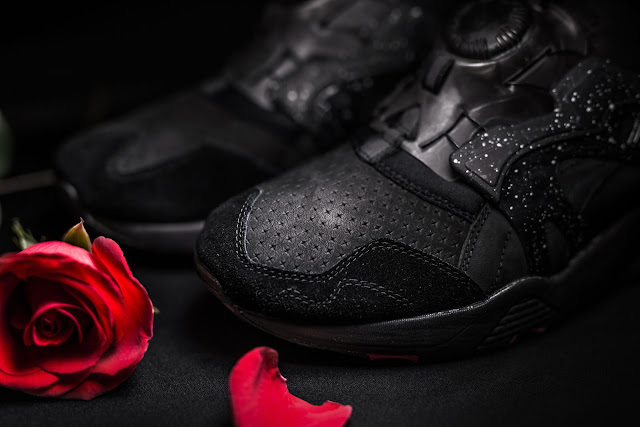 PUMA unveiled the Disc Blaze 'Mystery' – part two of a link up with Crossover, Malaysia’s premiere sneaker store. The Disc Blaze 'Mystery' joins the Blaze of Glory ‘Roses’ (released earlier in 2016) in a luscious pack dubbed ”The Velvet Twin Pack”. 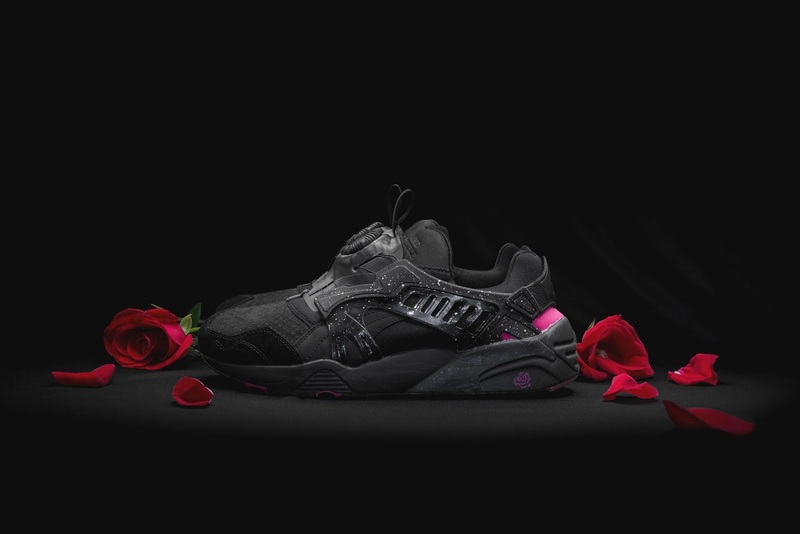 Named 'Mystery' and 'Roses', the sneaker pack takes cues from the dark and satirical drama of films loved by Crossover founder Jem. The 'Mystery' features a see-through Disc cap on a pitch black upper constructed of mesh, nubuck and suede. The white speckled black cage symbolizes the faint goodness oftentimes found in suspense dramas’ antagonistic character. A shot of pink on the heel tab symbolises the unpredictable behaviour of devious characters found in these types of films. 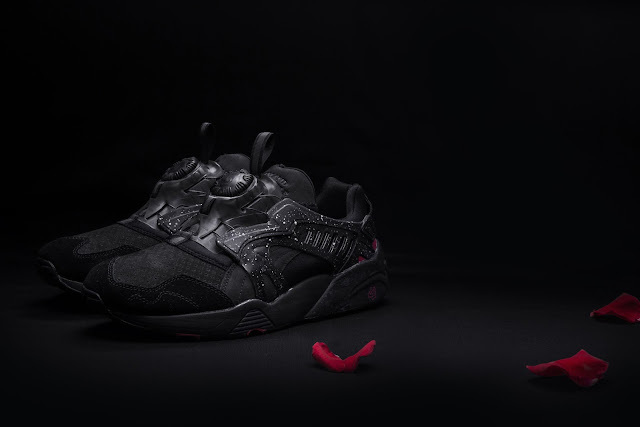 The Disc Blaze ‘Mystery’ drops exclusively at PUMA SELECT stores in Braamfontein, Johannesburg and Bree Street, Cape Town on 16 May for R2 499.